Buy works – Gritsay Aleksey Mikhailovich | (1914, Petrograd – 1998, Moscow). 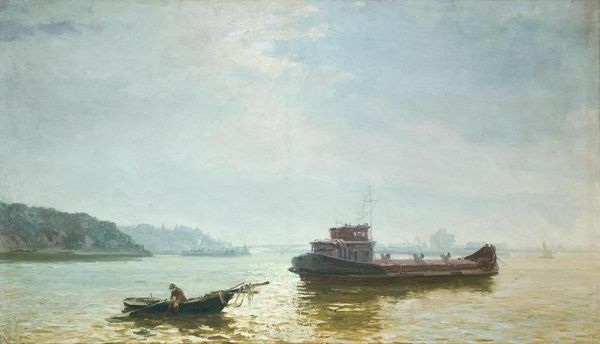 Gritsay Aleksey Mikhailovich (1914, Petrograd – 1998, Moscow). People’s Artist of the USSR. Acting Member of the USSR Arts Academy. Laureate of the State Prizes in 1951, 1952 and 1978. In 1939 graduated from the Institute of Painting, Sculpture and Architecture, studied first at the V.N. Yakovlev Studio, later – at the Studio of I.I. Brodsky. A. M. Gritsai started as a portrait painter; in the 1950 th made the series of the portraits of Academicians, for which has been awarded with the State Premium. Further on the landscape, both of monumental and epic (‘In Zhiguli. 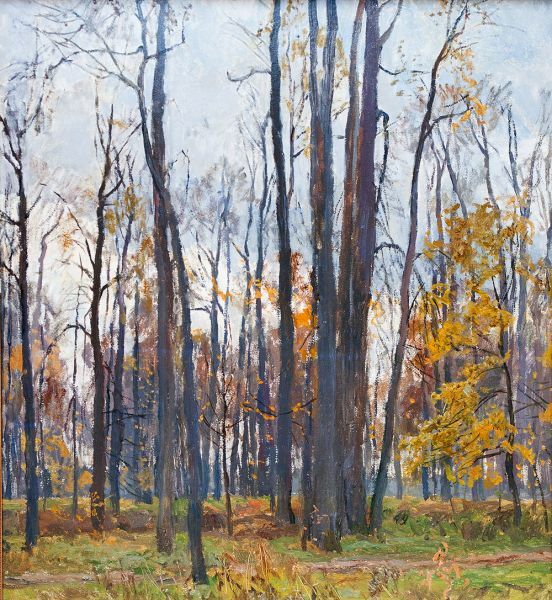 Rough day’ (1948-1950) and ‘Above the Volga’ (1950-1952) and chamber (series of paintings ‘Spring’) directions got the central place in the artist’s works. 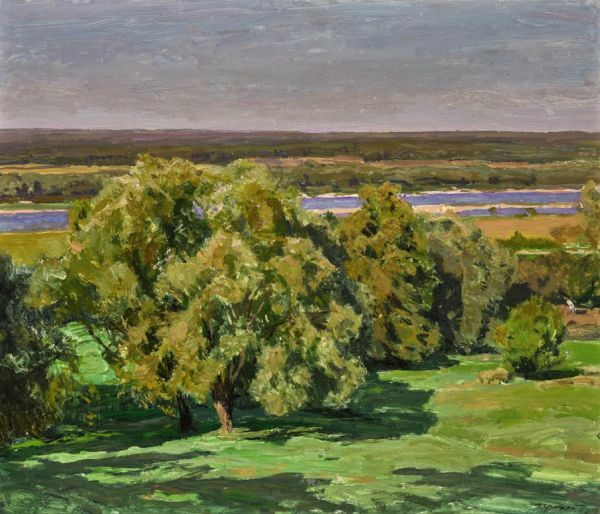 The painter is the author of the series of landscapes of Leningrad and its outskirts, views of Volga and Oka, kept in the traditions of I.I. Levitan and F.A. Vasiliev. Since 1946 – permanent participant of the national and international exhibitions. In 1957 was awarded by the bronze medal of the World Exhibition in Brussels. In 1973 won the I.E. Repin RSFSR State Premium. In 1948-1974 was teaching at the Surikov MOSCOW State Institute of Arts, since 1966 – at the Professor’s rank. Since 1966 - member of Presidium of the USSR Academy of Arts. 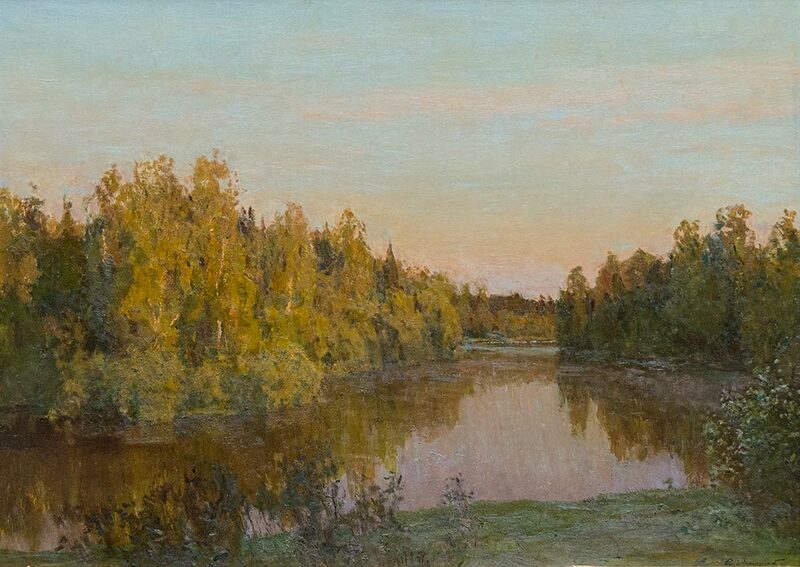 The works of A.M. Gritsai are kept at the State Tretyakov Gallery, the State Russian Museum, Art Museums of Kaluga, Viatka, Saratov and Lvov. Collective farm Electric Power Station. Not a hot day of summer. 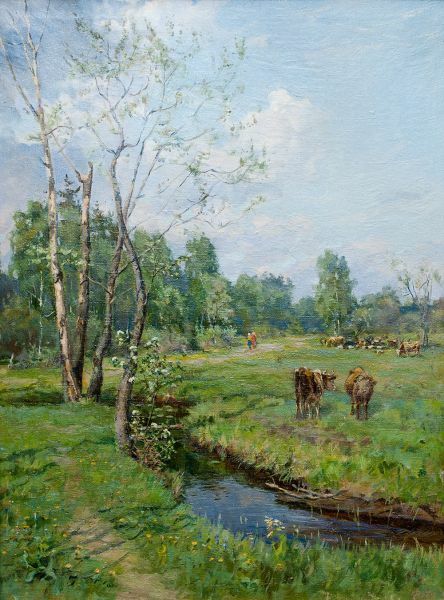 Technique: Paper on hardboard, oil.